One of my favorite things about working in the advertising/marketing/public relations industry (aside from helping clients’ businesses grow and being their partners in success) is that we’re able to have a little bit of fashion freedom in the workplace (as long as it’s professional, does not show too much skin and there isn’t a major client meeting). We’re not limited to black business suits and kitten heels; we can wear trendy and eye-catching pieces. In my opinion, it’s only fitting since we’re a cutting-edge company with core competencies in branding, creative marketing and message development. like this bright red dress from Cache. and a Michael Kors convertible clutch. and this geometric patterned dress from BCBGMAXAZRIA pairs the colors together nicely. 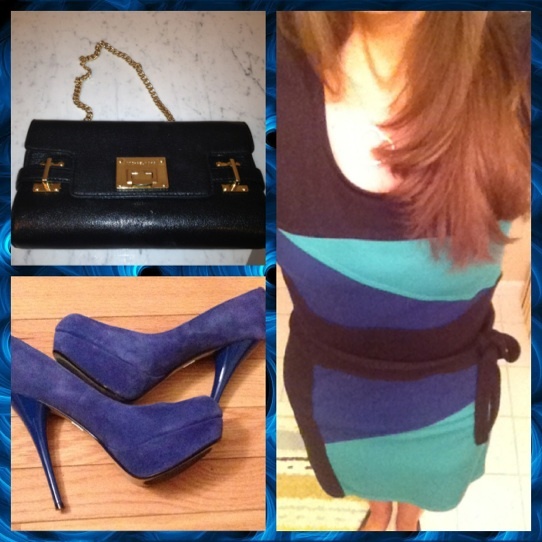 and the Michael Kors convertible clutch completes the outfit. Did I mention I like bright colors? 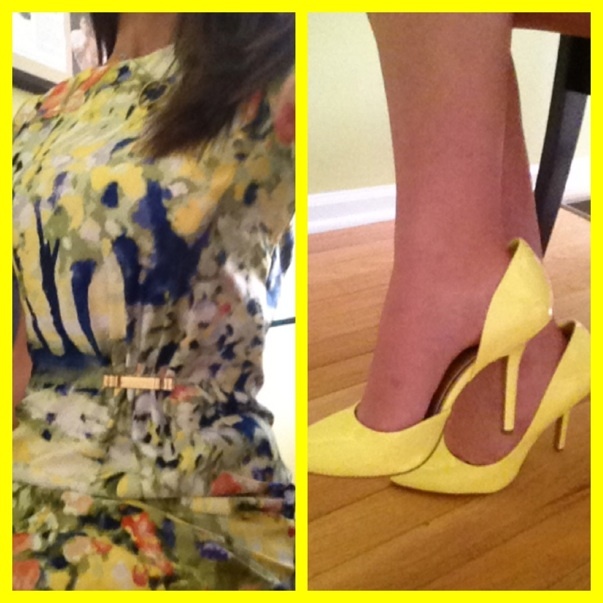 and bright yellow pumps from BCBG Paris help me get over the hump in style. 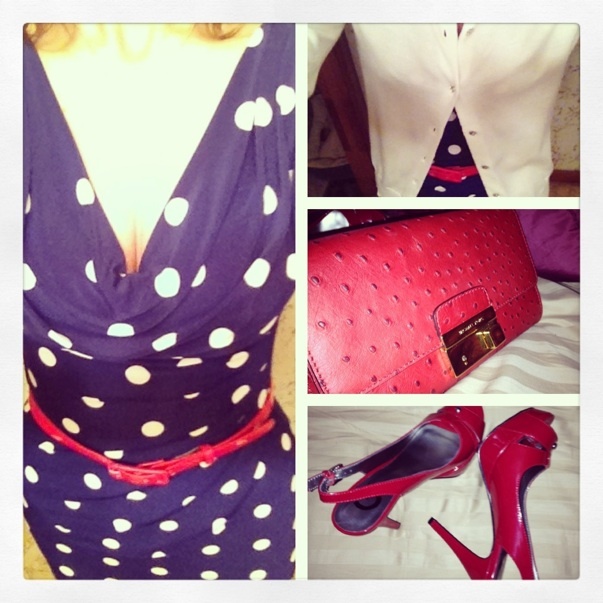 like this white and blue polka dot dress and red belt from Lauren Ralph Lauren. a red clutch from Michael Kors and red G by Guess peep-toe pumps. so there’s no need to make an extra stop to change before going out. 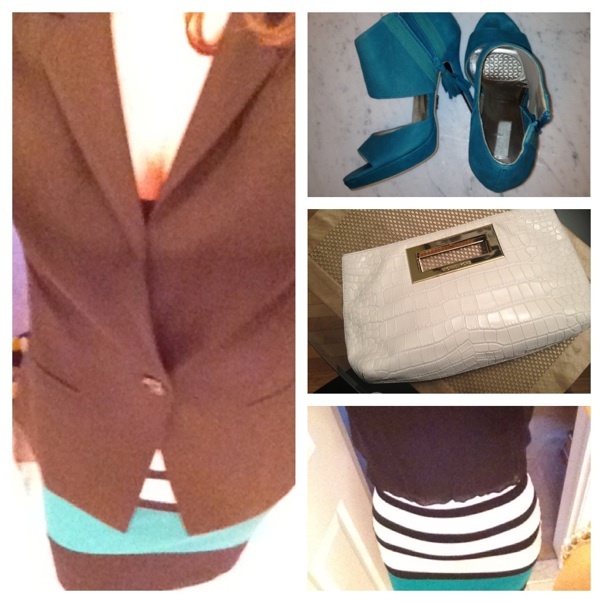 and the green Rachel Roy open-toe shoes and white Michael Kors clutch completes the outfit. Once I leave the office, the blazer comes off and I’m ready for a night on the town! Key Account Director at Focus Media in Goshen, N.Y., Lisa has worked in the public relations and marketing industry for eight years. Prior to joining Focus, Lisa was Public Relations Manager at Madden Communications and Marketing in Rockland County, N.Y. She has a Bachelor of Arts in Communications from St. Thomas Aquinas College, and is co-chairing the American Cancer Society’s 100th Anniversary Birthday Bash in the fall.